Cleaning your apartment or home at the end of your lease is one of the most important things you can do before your move. That’s because when you have a home that’s been cleaned properly, you’re more likely to get your bond back. That said, you might not always know the best ways for you to clean your home at the end of your lease. Here, you can read all about how to keep your end of lease cleaning as smooth as possible. When you make a checklist, you can ensure that everything is being taken care of. As the move continues, you can add items to the checklist whenever you think of something new that needs to be done. Most people prefer to stay at home and watch television instead of taking care of their responsibilities. 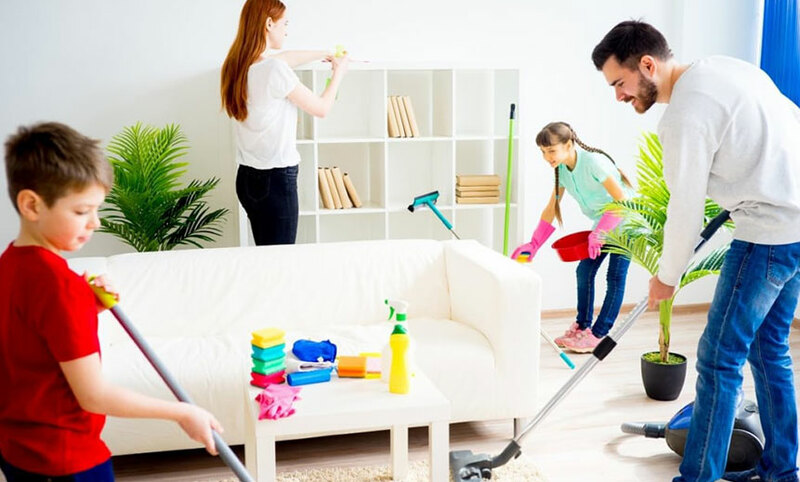 Some people try to put off packing and cleaning until the week before the lease ends, but this is incredibly inefficient and might result in quick, rushed cleaning rather than thorough cleaning. Go over your lease to find out how your flat looked before you moved in. You might have clauses and pictures included that require you to return the home to its original state. If so, this will help you know what you have to clean and what you can leave alone. This is true when you move in as well as when you move out. When you pay your first month’s rent, you should take pictures of the state of your home when you first arrive. Make sure that there’s a time stamp on the picture to prove the day it was taken. If you’ve made any changes to the home while you were staying there, you should make sure that you’ve asked for permission to do so with written documents. If you go over your lease and you find that you have to return your home to its original state, then you’ll have to reverse any changes you’ve made to the home. If your landlord has approved the changes and wants you to keep them after you move, be sure to have this in writing as well so that you don’t lose your bond or security deposit. Every home goes through wear and tear when people have been living in it. There’s a big difference between normal wear and tear versus excessive damage, so it’s important for you to understand the difference. Some changes that you make to your home without explicit permission from the landlord can be considered damage, which you may need to pay for when you move out. Many tenants might forget to consider this, but pets can have disastrous effects on a home. You should fumigate your home when you move because there might be pests or fleas in your home that have gone unnoticed until now. You should also consider hiring a professional cleaner because your pets might have left stains in the home that you don’t know about. Professional cleaners will be able to see these imperfections and remove them before you move out. Anyone who has gone through an end of lease cleaning knows what a struggle it can be. That’s because you have a lot of things to consider and you have to get everything done properly if you want to get your bond back. While cleaning before you move can be stressful, it doesn’t have to be. For more great cleaning tips, contact our team today.